Apple's relationship with China may not be as friendly as we were led to believe because the government shut down the iTunes Movies store and iBook Store only six months after they launched. The decision may be a sign of hostility towards foreign companies, or it may be censorship to block the state-banned movie Ten Years. Apple's movies and ebook stores were shut down last week by the Chinese State Administration of Press, Publication, Radio, Film and Television, according to the New York Times. The iTunes Music store, however, is still online and available in the country. It's possible China's government reversed course and no longer wants Apple's online media stores operating in the country. Apple, along with other companies such as Microsoft and IBM, are seen as too established and entrenched in China by government officials, making them political targets of sorts. 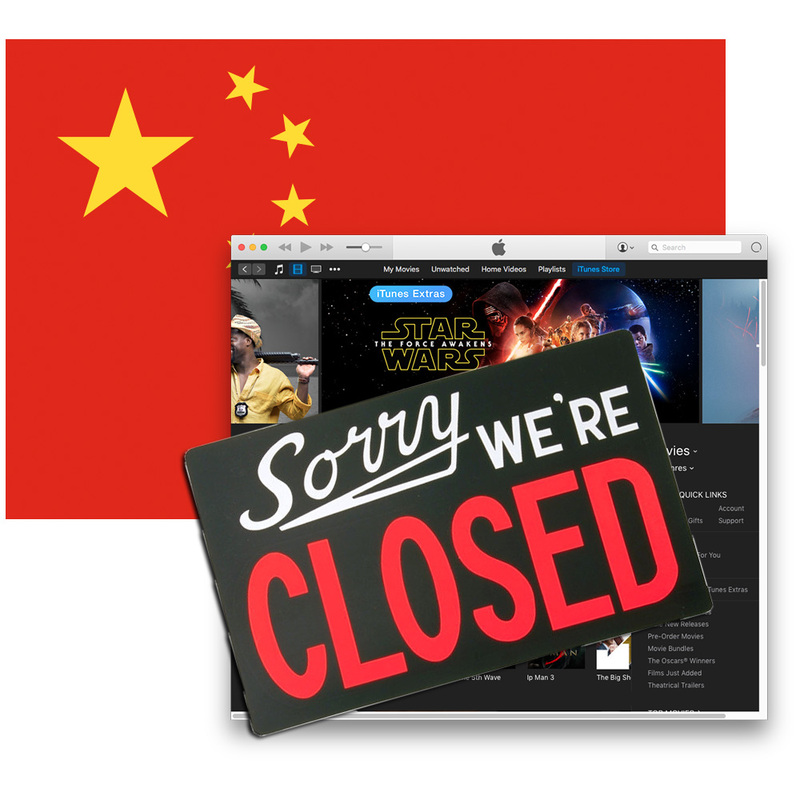 Assuming the government saw the iTunes Music store and iBook Store as threats to in-country alternatives, it's easy to see the Chinese State Administration of Press, Publication, Radio, Film and Television as a way to shut them down. Alternately, China could be using the agency as a tool for censorship. The award winning movie Ten Years, which shows a dystopian future Hong Kong, has been banned in China and Apple's movie and book stores were shut down just before it would've been released for online distribution. Apple says it has a good working relationship with China, and a company spokesperson said they "hoped to make books and movies available again to our customers in China as soon as possible." Regardless of how tight Apple may be with China, the fact that both media distribution stores were shut down so quickly underlies issues the company needs to be prepared for every day: China's government has no qualms about oppressing content it doesn't want its citizens seeing, and has some level of hostility towards foreign companies. That doesn't make it easy to do business in the country, and puts Apple in a position where it's going to have to decide if it's willing to make sacrifices like tacitly supporting government censorship in order to sell products to its second largest market.